The recent developments in investment markets and the volatile performance that has resulted have brought about a new appeal to an old workhorse. For investors looking for a diversification in their investment portfolio and a more tax efficient fixed income investment alternative, a compelling argument can be made for the use of Whole Life Insurance. Why is Whole Life Insurance a good investment? The tax advantaged steady growth, combined with significant estate benefits are the primary reasons why Participating Whole Life is now being thought of as a new investment class. Unlike other accumulation policies such as most Universal Life policies, mutual funds and other equity investments, the cash and dividend value of a Whole Life policy cannot decrease as long as premium payments are made. Who should consider Whole Life Insurance as an investment? Anyone looking for stable returns on their investment portfolio. For those that have corporations and are accumulating surplus, the use of Whole Life in the corporation not only provides the same stable, tax deferred returns but also provides opportunities for Capital Dividend Account planning. It is permanent life insurance protection – meaning it won’t expire before you do! It has tax advantaged cash value growth. It can pay annual dividends (participating whole life). Dividends can be taken in a number of different ways but the option most often selected to provide the maximum tax advantaged growth is “paid-up additions”. The assets of the participating pool are professionally managed and largely in fixed income investments. Management fees are extremely low (some as low as 0.07% management fee) and the funds have very little volatility. 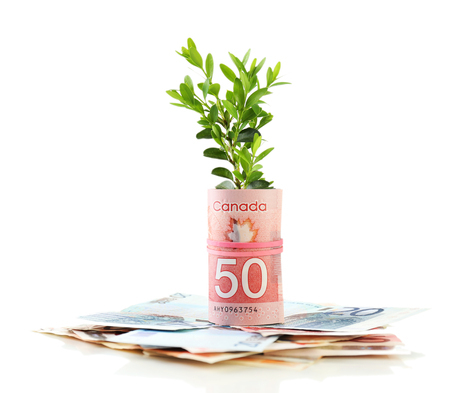 This combination of guaranteed cash value and the non-guaranteed portion from the dividend account grows tax deferred. At death it is paid to the beneficiary tax free. Can I access the cash value of the policy? During the lifetime of the insured, the cash values can be accessed by way of partial or total surrender, or policy loan. Income tax may be payable on withdrawals. However, one alternative to avoid paying income tax is to use the policy as collateral and borrow from a third party lender. And if structured properly, the interest on the loan may be tax deductible. Today most portfolio managers recommend that a prudent investor have a diversified portfolio with a significant portion in fixed income investments, such as bonds, term deposits, etc. Many investment managers suggest one third to 40% of an investment portfolio be in these types of investments for balanced growth. Including participating whole life in your portfolio can produce some significant results, and reduce overall volatility. Whether investing as an individual or via a corporation, the significant results that can be achieved by using Participating Whole Life are worth investigating. Please call a member of Outline Financial if you think you would benefit from this strategy or use the sharing buttons to share this article with a friend or family member you think may find this information of value.